Copper Nickel Cu-Ni 70/30 Round bar, ASTM B 111 Cu-ni 70/30 Round Bars, ASTM B111 Cu-Ni 70/30 Bright Bar, Copper Nickel 70/30 Hex Bar, suppliers, Manufacturers, Exporters, Mumbai, India. ASTM B111 Copper Nickel 70 / 30 Bright Bar, Cu-Ni DIN 2.0882 Hex Bars, C71500 Cold Finished Bars Suppliers in India. 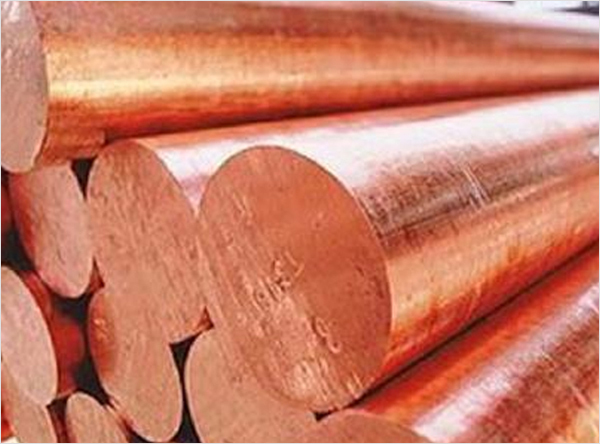 Rexton Steel & Alloys is one of the largest exporter, manufacturer and supplier Copper Nickel Cu-Ni 70 / 30 (C71500) Round Bars in India.Copper Nickel C71500, also known as 70/30 Copper Nickel, offers excellent corrosion resistance, especially in marine saltwater environments. The main wrought Copper Nickel alloys chosen for seawater service contain 10% or 30% Nickel. They also have important additions of Iron and Manganese which are necessary to maintain good corrosion resistance. It has High strength, Moderate machinability, Excellent corrosion resistance, High impact resistance, and more. Some common applications for Copper Nickel include valves, pump components, fittings, flanges and various other marine hardware components.Theseare accessible to our valuable customers in different range of diameters, wall thicknesses and sizes at quite affordable rates.